Originally established in 1974 as the Douglas Museum and Library, the Museum first opened in 1979 at 3200 Airport Avenue. 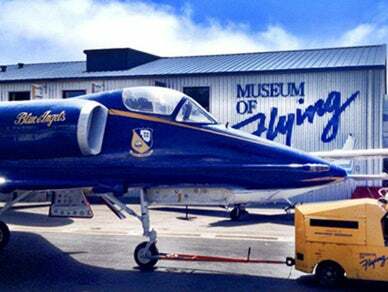 The Museum was founded by Donald Douglas Jr, the second President of the Douglas Aircraft Company. The collection consisted primarily artifacts the ephemera of Donald Wills Douglas, the Founder and President of the Douglas Aircraft Company, however the collection did not include any aircraft.